Kristina Han AB '96 shares her story of starting a business in the cosmetic industry and offers a class on work-ready makeup. Please bring your own make-up. It’s not easy, achieving that perfect balance between natural yet polished—but you can do it! Learn how to create work-ready makeup looks in under 10 minutes. You’ll look effortlessly amazing AND reclaim some time back in your life. Get hands-on guidance from top artists in this fun yet informative class. Registration Costs: $25 for members and their guests, $35 for non-members. Limited to 25 participants. Kristina Han will discuss the challenges and rewards of transitioning from an established corporate job to the roller coaster journey of starting a business from ground up, with added challenges of raising two young children at the same time. In today's fast-paced, high tech startup craze, Kristina will also share her experience in starting a brick-and-mortar service business within the cosmetic industry that has traditionally been dominated by retail products. This informal yet instructive class, led by Own Your Wonder's top makeup artists, is an absolute game-changer. Berrina, one of the founders, has kindly offered to bring us Chaia Tacos to the event. They're healthy, vegitarian, farm-to-table, and not to mention the most delicious tacos! Hands-on guidance for tips made just for you. And feel free to bring your own makeup bag—we'll show you how to look amazing with products you already own. We welcome all skin tones and genders. See you in class! Kristina Han graduated from Harvard in 1996 with joint concentration in East Asian Studies and Government. She received her law degree from Duke University and her masters degree from the Johns Hopkins University's School of Advanced International Studies (SAIS). She started out her career as an investment banker at J.P. Morgan before switching to law and working at Skadden, Arps, Slate, Meagher & Flom and TPG Capital. She was on the Korean and US national swim team and represented Korea in the 1988 Olympics. Kristina was inspired to embark on a drastic career change when she couldn't find a place to go for a polished, professional look for her work meetings and interviews. As a busy working mom, she wanted to outsource a part of her daily routine that she didn't enjoy and was not very good at. So, she started a "Dry Bar" for makeup. 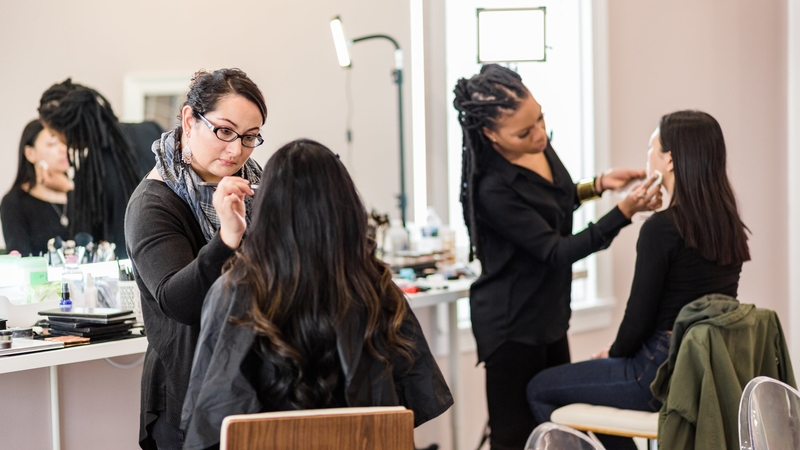 Kristina is pioneering makeup-as-a-service with the creation of DC’s first makeup bar, a unique and inspiring beauty experience with its first location in Georgetown. Own Your Wonder makes professional makeup services affordable and accessible for even the busiest women in an inclusive and inviting space.